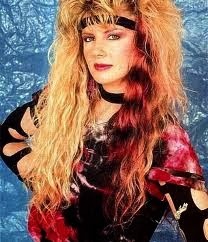 centerfieldmaz was shocked to learn of the sudden passing of Jan Kuehnemund, the founding member of the all female metal band Vixen. 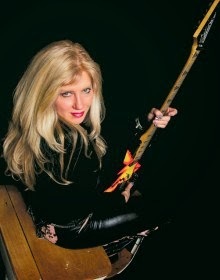 Jan was a fantastic guitarist, song writer & women pioneer in Heavy Metal. I am a huge fan of hard rock all girl bands & Vixen were one my long time favorites. Janice Lynn Kuehnemund was born November 18th, 1961 in St. Paul Minnesota. The female guitarist formed one of the first all female Metal bands in Minnesota with singer Janet Gardner while in high school in 1980. By 1985 they moved the band to Los Angles California, to be part of the Heavy Metal scene. 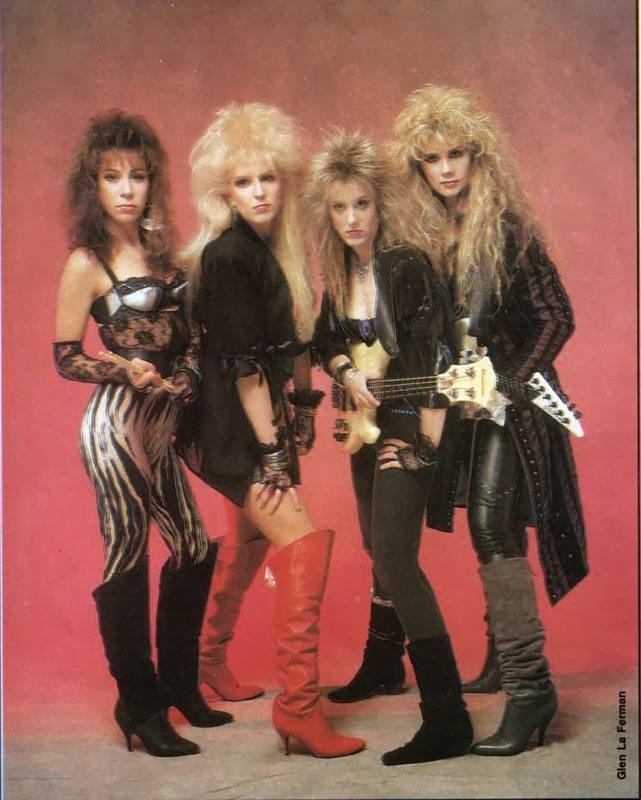 In 1987 the classic Vixen line up of Jan Kuehnemund (lead guitar) Janet Gardner (vocals/ guitar) Share Pederson (bass) & Roxy Petrucci (drums) formed & released their debut album the following year. In a world of all male Heavy Metal bands during its heyday, Vixen were groundbreaking in being an all female metal band. The Runaways, with Joan Jett & Lita Ford, had broken the mold a decade earlier, as a teenage all female hard rock band. Since then there were the Go Go's, the Bangles, & Girlschool but no one other all girl hard rock bands had been successful hitting the big time. Vixen were one of the first hard rock / Heavy Metal all girl bands to make it big. 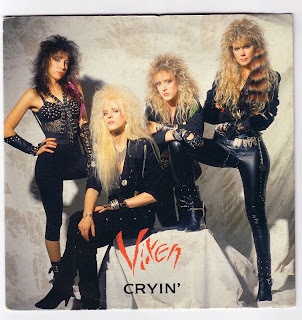 Back in 1988, the beautiful girls of Vixen with their high hair, short skirts & leather boots, had all us rock guys loving the way they looked, but their music was damn good too. I saw Vixen live at L'Amores East in Queens as they were making it big & became a big fan of theirs. Their debut album; titled Vixen, came out in 1988 & I remember playing the hell out of it. They hit MTV in the days when the channel actually showed music videos, making it big in the rotation with songs; "Edge of a Broken Heart" (co written by Richard Marx) "Cryin'" & "Love Made Me Strong". Vixen went on to open for Metal bands like; Ozzy Osbourne, the Scorpions, Bon Jovi, Kiss & Deep Purple. In 1990 they released their follow up Rev It Up which made them headliners, but by 1991 the band disbanded due to musical differences. By the late nineties the band reformed without Kuehnemund but was sued by her for using the name. In 2001 they reunited with her, Garner & Petrucci for a short time. In 2004 a VH1 television show called; Bands Reunited, got the original Vixen together for a concert reunion, which was aired on the station. The originals did not stay together long, but Jan continued to tour as Vixen with new members. Reports stated that the original Vixen girls contacted Kuehnemund to reunite but she said she was happy with her current band. The others went on to form their own band which was at first going to be called; Vxn, but for legal purposes they decided to use a different name. 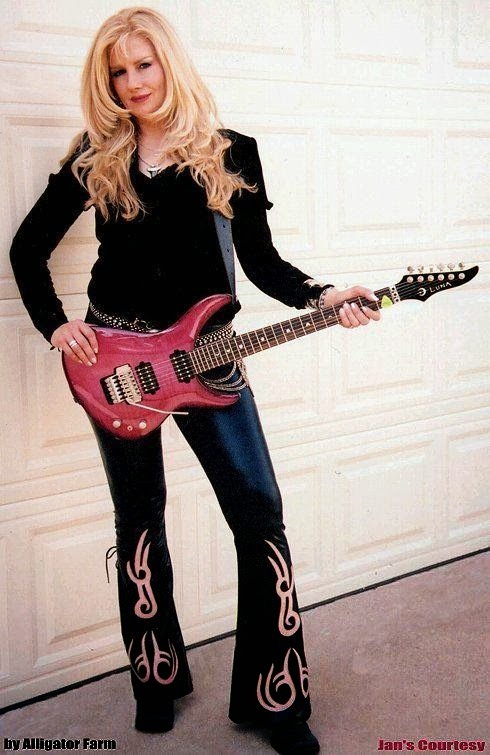 They went under the name; JanetShareRoxyGina (aka JSRG) with new guitarist Gina Stiles. By 2013, Kuehnemund had agreed to reunite with the original Vixen line up in 2014 & an official announcement was set to be released by the end of the year 2013. Unfortunatley, this was not to be. In October 2013 Jan Kuehnemund passed away after a secret nine month battle with cancer, she was 51 years old. The original Vixen members, JRSG posted the news on its Facebook page; "It is with profound sadness that we announce the sudden passing of Vixen founder and lead guitarist, Jan Kuehnemund, who lost a fierce battle with cancer on Thursday, October 10, 2013. Though most well known for her gifted guitar playing and other musical talents, Jan was a rare friend and beautiful in every sense of the word. Humble, thoughtful, loyal and kind, she was the most gracious of women, possessing the quiet strength of a true warrior. She genuinely loved and appreciated her friends and fans more than most could ever know. Those who were most fortunate to have known her and loved her are heartbroken at the loss of Jan, whose spirit will shine through her music eternally. Jan was very courageous. Never complained. Never gave up. The cancer beat her body but it NEVER broke her spirit at any point. Up until the actual moment that she died, she really believed she was going back home. Jan... you will be missed.. but never forgotten." 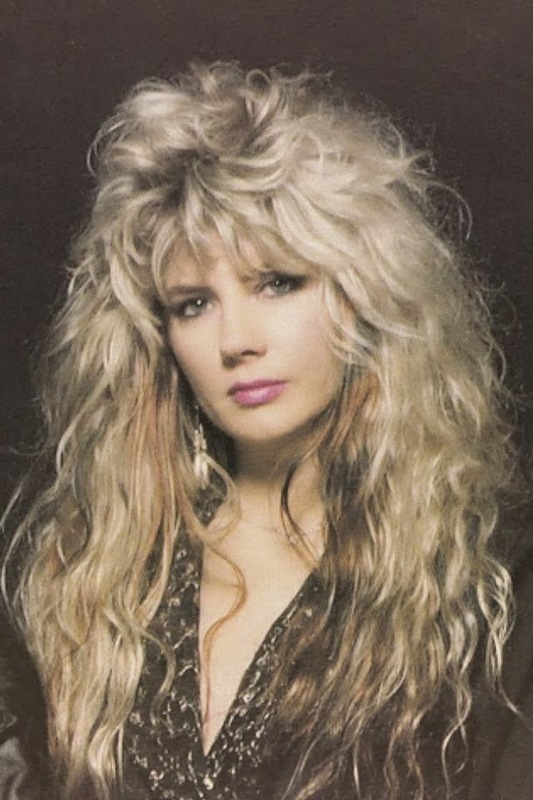 In these current times, where female singers dominate a huge portion of the hard rock/ metal scene (outside the US), as well as the pop world, Vixen must be remembered (along with the Runaways) for paving the way for so many of the all girl hard rock/ metal bands that have come afterward. Girlschool, The Donnas, Crucified Barbara, L7, Octavia Sperati, Hysterica & Mystica Girls, just to name a few. "Shine until tomorrow" Jan" you will certainly be remembered & missed. "Jan was such an amazing lady. She was(is)one of the most beautiful ladies, I had ever met in my entire life. Her beauty, her spirit, her kindness, and her charm were truly a gift from God." I worked with Jan and knew her over about 7 years, and I am grateful and truly blessed to have been in her life, as a video producer, as a friend, and as an associate. I always felt that she would become an industry maverick, helping to launch others in the music business. Yet, her love of music and her love of being on stage was the driving force in her life. Words will never express how I will miss her and how I will continue to long to hear her sweet voice, and her delightful laugh. "I will think about you every day, as we shared birthdays, in the same month, only days apart. I will pray for your soul, your spirit, and your family. God is Blessing you my dear Jan, for allowing me, and the world, to experience your true love of friendship. May we both see each other in heaven, where you are now. God, Bless and keep this wonderful spirit of Jan Kuehnemund in your arms; forever. Amen." I new Jan back in 1980 through 1983. I was singing at the Marriott hotel in L.A. where she was a waitress. She and I shared our demos when we were both trying to find our way through the music business. I remember her not only as a stunningly beautiful women, but an honest soul who actually listened when you spoke and was a caring person. Her talent went without question and was accentuated by her class and kindness. I got where I wanted to go in music and my heart is broken to find out about Jan. She had so much talent and class and deserved so much more than I found. Bless her and may she have found her peace.